Gardner has written hundreds of research articles and thirty books that have been translated into more than thirty languages. He is best known for his theory of multiple intelligences, as outlined in his book Frames of Mind: The Theory of Multiple Intelligences (1983). According to Gardner's theory of multiple intelligences, humans have several different ways of processing information and these ways are relatively independent of one another. The theory is a critique of the standard intelligence theory, which emphasizes the correlation among abilities. 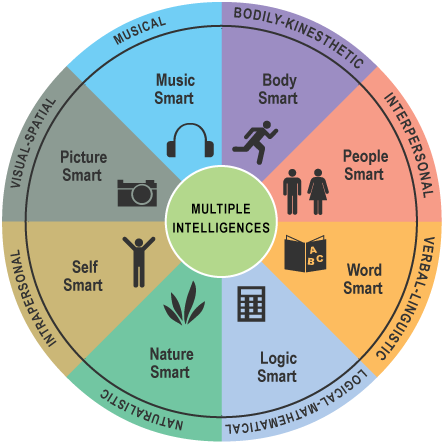 Since 1999, Gardner has identified eight intelligences: linguistic, logic-mathematical, musical, spatial, bodily/kinesthetic, interpersonal, intrapersonal, and naturalistic. Gardner is informally considering two additional intelligences, existential and pedagogical. Many teachers, school administrators, and special educators have been inspired by Gardner’s Theory of Multiple Intelligences as it has allowed for the idea that there is more than one way to define a person's intellect. Gardner's definition of intelligence has been widely criticized in education circles as well as in the field of psychology. Perhaps the strongest and most enduring critique of his theory of multiple intelligences centers on its supposed lack of empirical evidence. [ Gardner responds that his theory is based entirely on empirical evidence as opposed to experimental evidence, as he does not believe experimental evidence is appropriate for a theoretical synthesis. John Muir, Rachel Carson, Charles Darwin, John James Audubon, Jacques Cousteau, David Suzuki, Jane Goodall. Intelligence is the ability to understand the world in which we live and to solve environmental, social and cultural rights, that there are places in every moment of our existence. Until the first half of '900, is usually thought, even in academic circles, that intelligence was identified with a capacity monolithic, common and measurable in all individuals, including through standards and testing of scientific value. 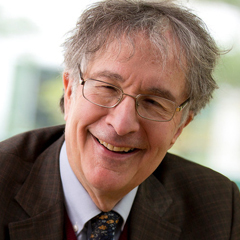 Studies of Howard Gardner helped to undermine these certainties and introduced in the scientific and academic world the so-called Theory of Multiple Intelligences, according to which there is a common faculty of intelligence, but different forms of it, each independent of the others. 1-Linguistics Intelligence : "think in words and reflect on them." Characterized by a feeling for the meaning of words, for the order between them and the functions of language as convince, stimulate, convey information and pleasure, this intelligence is manifested by a significant language production, a good abstract reasoning skills and of symbolic thought, but it is, however, also the subject of a fundamental distinction between oral and written. Some, in fact, likely to have a certain ease to learn through listening and presenting a high skill development mnemonic. 2- Logical-mathematical Intelligence: "thinking with numbers and reflect on their relationships." Gardner what characterizes a person with intelligence "mathematics" is the ability to conduct very long arguments managed to remember the different steps of which they are composed. Actually this is not an exceptional memory, but to a particular ability to grasp the overall sense of the connections that bind the various propositions of the demonstration. It is evident in those students who possess skills in understanding the basic properties of numbers, adding or subtracting, to understand the principles of cause and effect and matching unique value, by providing, for example, which objects float, sink, etc. ., in recognizing patterns, work with abstract symbols (eg numbers, geometric figures, etc.) and grasp the relationship or find the links between information separate and distinct. 3-Musical Intelligence "and think about music." Characterized by strong ability to recognize, reconstruct and compose music on underlyingthe implementation tone, rhythm and timbre, this ability is located in the right hemisphere of the brain and is separated from the linguistic talent.Gardner believes that one of the top talent that emerges in a individual is their musical talent. Who grows with this type of intelligence developed, it is accustomed to learning through song and music and turns, often, what he feels in a chant or a rhythm. It also has the ability to recognize and how to use rhythmic patterns and tonics, using the voice and musical instruments, the sound sensitivity of the environment. 4-Visuo-spatial Intelligence : "thinking with visual images and make calculations on them." It is proper to those who prefer the visual arts, who has a good sense of 'guidance, those who have difficulty in making maps, diagrams, maps, models and games that require the ability to view objects from different angles and perspectives. Think with spatial intelligence means thinking in images and designs, have what is often called a visual memory: he remembers a text or a word to its location on the page of the book. Puzzle games, construction and composition are privileged activities by those who have particularly developed spatial intelligence. 5 Bodily-kinesthetic intelligence, "and think about the movements and gestures." It is developed through practical experiences that affect the entire body. Those who favor such intelligence must experience, must act, and remember mainly what gets done. It develops also excellent feel and also a keen sensitivity instinctive, has motor coordination and harmony. In such cases, those who have developed more intelligence body, learn by doing, needs concrete experiences, to move and to pass information through the body. 6-Interpersonal Intelligence: "succeed in relationships with others." Outward looking, behavior, feelings, emotions and motivations of other individuals (a kind of ability to "empathy" to the next). An individual with Interpersonal Intelligence is skilled builder of relationships, is often a mediator in disputes, can understand the other, he points to a desire for socialization and interaction and, therefore, has many friends and cultivate friendships, socialize easily, search extra-curricular activities that fit, is well suited to the group life, group games and loves the company and is brought to develop empathy with others. 7-Intrapersonal Intelligence: "reflect on their feelings, moods and states of mind." It refers to the intimate knowledge of their inner drives, emotions and affective impulses; It involves the ability to classify and discriminate their feelings, calling them also through an elaborate system of symbols (what today we would call "Emotional Intelligence"). A person with Intrapersonal Intelligence has a strong personality but not linking with the other, but who prefers to keep in isolation, opting for activities individualistic: a hobby, a diary. It prevails a deep sense of self that leads to solitary meditation. His attitudes privileged, therefore, could be: to show a sense of independence, formulate opinions categorical, seem locked in his inner world, possessing a deep sense of self-esteem, cultivate a personal hobby, not follow trends, prefer individual work. 8-Naturalistic Intelligence : "Think of nature and the world around us"
9- Existential Intelligence : "Think about the ethical and existential"
thus completing the picture of the variations of intelligence and enriching aspect related to the environment in which we live and another related to the ability of self-reflection. Current studies and current scientific tests of intelligence used by psychologists around the world, tend to give reason to Gardner's theory: each of us is more or less proficient with one or more of these different types of intelligence, and to know IQ of an adult today is by a sum of various specific types of intelligence discovered by Gardner in the Theory of Multiple Intelligences. Michael Jackson was extraordinarily intelligent well in 4 types of intelligence identified by Gardner, and this is another scientific data that proves his genius.